Recently, I was interviewed by Sue Bidstup for the podcast over at “Great Big Yes.” We talked all about The Gift of Second, suicide, how the website came to be, why suicide grief is so unique, and how to reach out to someone who has just recently experienced the suicide of a loved one. We covered it all! Today, I would love to share this podcast with you as well. I hope you walk away hearing some truths and feeling less alone in your grief. Just click the link below to be directed to the podcast. 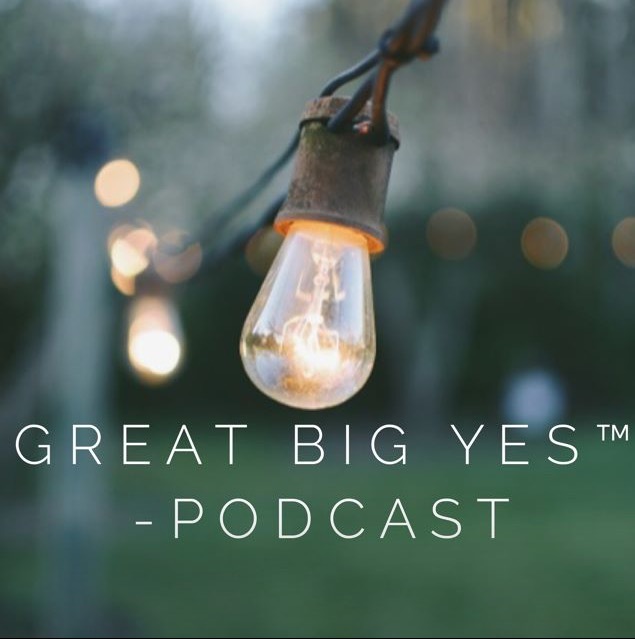 If you would like to hear more from Sue and some of the amazing people saying “yes”, head over to Great Big Yes and listen to some encouraging stories! I’m a three time survivor the last was my Son, the worst !!!! My mother and brother committed suicide 15 years ago. My Son Chase that passed on Aug. 28 2016 , he was only 19. I have another Son Nick, 22. Too much to explain . I say things could always be worse, cause they can. It’s exhausting tho. My life has forever Changed from losing Chase. Just thought I would share, haven’t been able to really Grieve. Thanks . One exhausted Mama !!!! Correction Chase passed Aug. 21 St 2016. Thank you for doing and sharing this podcast with us, Brandy. You said something that took my breath away “I chose anger over hurt.” I’ve never heard anyone say that before. That is what I did after my son died. When the pain was so intense I thought I surly would die, I would focus on my anger instead because that was more manageable. You helped me to realize once again that I am not alone! I love your book and am sharing it with other survivors! No, we are never alone. I am sorry you can relate so well in choosing anger over hurt. Sometimes the pain was too overwhelming to look at or even acknowledge so I chose to be angry instead. That was much more palatable…or so I thought. I spent so many years being so angry. I wish I would have just faced it head on all those years ago and given myself permission to say, “I am heartbroken, hurt, and so devastated.” I can say that today. Thankfully. Thank you for spreading the word with the book. I am glad you find it helpful. Thank you for your kind words.